Think of this as Volume 11, Number 24 of A-Clue.com, the online newsletter I've written since 1997. Enjoy. Thanks in part to best-sellers like Rick Perlstein's Nixonland, and in part to their own self-referential nature, TeeVee blowhards are falling all over one another to compare this year with 1968, the year of the last American crisis. I started playing around with this two years ago as The 1966 Game, and while it's fun it's really very bad historical analysis. It does nothing but look backward. It teaches us nothing about what's coming. While it's true we're in a crisis period, the nature of today's crisis is quite different from that of 40 years ago. 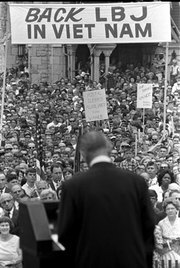 The 1960s were a social crisis, in which the previous era's foreign policy assumptions were validated and became the new political divide. The current crisis is economic. Those old assumptions have fallen apart. They led us into Iraq. We the People no longer believe them. All this constant harping on 1968 does is justify those assumptions anew, trying to make John McCain the New Nixon, Barack Obama the late Bobby Kennedy. It's stupid. It's brain dead. Every generational crisis in American history has been different. Every emerging Thesis has been different. But there is one such crisis to which valid analogies can be made. The 1896 Crisis was the only one in which the majority party going in was the majority party coming out (maybe that will get the bloviators interested). But more important it was about economic organization and America's place in the world. The 1890s created America as a single national market, with national brands, an industrial organization, and an imperialistic sense of itself. At the heart of solving the crisis was the Spanish-American War of 1898, which not only gave us Teddy Roosevelt (the crisis' central figure) but also gave us our first true foreign possessions. We even fought a colonial war, in the Philippines, to keep that empire alive, and created Panama out of Columbia to extend that empire. The Internet is the new railroad. Knowledge is the new resource. Sustainability is the new industry. Consensus is the new imperative. While watching Keith Olbermann read (and re-read, and re-re-read) Don Imus' pink slip on MSNBC tonight, it was obvious there is a larger agenda at work. Imus has been abusing people and calling it comedy for decades. 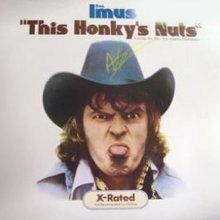 To the right is the cover of a 1974 Imus comedy album on the Bang label. It's number 407 in the catalog. I first detected the new mood last week, as Al Sharpton repeated the phrase "public airwaves" like it was on a talking point from central office. This was reinforced by Olbermann, tonight, bringing up examples from other hosts -- the road company from "Worst Person in the World" -- of racist, sexist, and eliminationist rhetoric. Then he and Jesse Jackson hammered the point home -- these folks are just as bad, and the campaign will now be expanded to get rid of them as well. It's all about decency. Decency of thought, decency of word, decency of action. 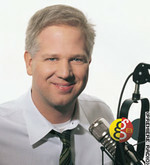 The public airwaves must have decency. Trouble is these aren't the public airwaves. We're talking here of cable networks, not broadcast networks. Besides, the Fairness Doctrine was eliminated 20 years ago. What can be done? Jackson was frank about it. Pressure the advertisers. Boycott, if necessary. It's a tactic which has not worked for the Left in over 40 years (although conservatives have used it for much of that time against speech they didn't like) and thus we have a real turning point. There is a lot of concern over in Left Blogistan over the growing use of eliminationist rhetoric among right-wing blogs. The concern is valid. The collection of such excess, for use against both the speakers and their supporters, is fair game. But I argue here that the danger is less than it appears, and that in some ways this is a good thing. The Nixon Thesis under we have lived for nearly 40 years is based on conflict. From the beginning, as I've written many times, the dehumanization of dissent has been at the heart of the matter. Whenever the thesis has been threatened, the rhetoric has been ratcheted up. The result has been an abusive political marriage, with liberals either cowed or beaten into submission because the majority still believes the thesis. This is what is in the process of ending, as we go through a new Crisis and seek a new Thesis. Democrats remain divided even today, between those who follow the AntiThesis of Clinton, triangulating between the most extreme conservatism and liberalism, which they also assume to be extreme, and those seeking a new Thesis. This, too, is natural. Some 40 years ago Republicans were divided between those who followed the AntiThesis of Eisenhower, accepting the premises of liberalism while trying to sail against its wind, and movement conservatives who were building something new. Here's how you can use my generational thesis to analyze current political actors. First, think of the pattern as a wave. Each crisis election is the bottom of the wave. The high point of each new thesis is at the top of the wave, with the AntiThesis period and Excess period sending the wave back to its bottom. Now, look at a subject politician seriously (or look at yourself) and try to figure out what year they are living in. Once you have that, you know where they expect political forces to line up, you know what presses their buttons. And hopefully you can deal with them. As we discussed yesterday, Joe Lieberman lives in 1962, the High Kennedy period. This was the start of the excess which destroyed the New Deal coalition. It was the early part of the Civil Rights Era, when the issue really was black-and-white. Once you understand this about Lieberman, and pin that year on him, you can understand what he considers his own best self and deal with it. We also discussed Lester Maddox yesterday. Here's a quiz: what year was he living in? Joe Lieberman may be the most hated man in Washington today. Unlike George W. Bush, who is widely hated on the left but still embraced by many supporters (I continue to see those ovoid W '04 bumper snickers on cars) Lieberman has few real friends. His situation really is analogous now to that of Lester Maddox, as I wrote some weeks ago. But it's important for us to ask why this is, in order to put Lieberman (and Maddox as well) into proper historical context. As the title of this piece states, Joe Lieberman considers himself to be the Last Kennedy. 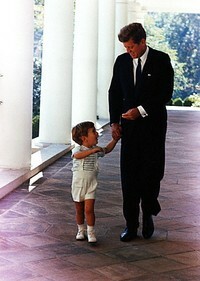 Not as in Teddy Kennedy, or any of the Kennedy children, but in terms of the original politics of John F. Kennedy. While historians will always debate whether Kennedy was indeed ready to walk away from South Vietnam before his assassination, the fact is that he was engaged there, in what Robert McNamara later called "a cold war activity," until the day he died. When a political thesis fails the first inclination of its adherents is always to blame the leaders. This was very true in 1966 when Democrats faced the death of the New Deal Thesis in results that brought Eisenhower Republicans and one Ronald W. Reagan to prominence. They blamed Vietnam. They blamed poor campaigns. They insisted that liberalism was intact, and the search was on for to either return President Johnson to his liberal roots or find someone who was a more "true liberal." The exact same thing, in reverse, is happening right now among Republicans. It wasn't the Thesis, it was how it was implemented. Bush and his team were not "real" conservatives. The Clinton and Netroots Democrats who came to power just ran better campaigns. Real conservatism is still intact, and the search is on to find a successor to Bush who is a "true conservative." So Who Was Lieberman Then? The last game piece offered was backwards, and a poser. 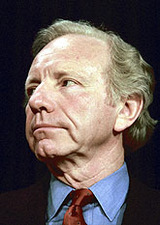 Who was Joe Lieberman then? We know who Joe Lieberman is now. He's the most controversial figure within the Democratic Party -- assuming he's in it at all. Having been spat on by true believers from coast-to-coast, he seems poised to win election anyway. Why? Because he represents part of the dying Anti-Thesis that Open Source Democrats wish to bury. He leans against the Bush-Reagan-Nixon Thesis of Conflict. He assumes its truth. He uses it as a sailor does the wind, to power his own boat and tack his own course. Without that Thesis he does not exist. All of which proves to Democrats how dependent their party is on the old Thesis. This is always true. Even out of power, political parties rely on the myths and values which are believed by their followers in order to maintain power. 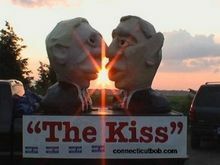 So who was Joe Lieberman then? Who was the Joe Lieberman of 1966? As a political Thesis reaches its sell-by date, notice that it's invoked almost religiously. The idea of "waving the bloody shirt" against Democrats reached almost totemic status, both in the 1890s and again as the Depression started to bite. In 1966 Democrats continued to run on the New Deal. Why? Because the press believed it. Reporters don't understand transformation. Their work is entirely transactional. They are today-oriented people, who see neither the past nor the future. Since political myths and values live in both the past and future, they're Indians before Columbus -- blind, deaf and dumb. So it is today. Bush is spending most of this week in the South, and his minions are recreating their old Southern Strategy, because they really have nothing to offer the voters. Their Thesis is completely out of ideas. As it was 40 years ago with Republicans, establishment Democrats today are fearful. They are afraid to talk about where they really stand, and some are more ready to make civil war on other Democrats than put forward an agenda, because the nascent open source thesis most actually believe in is untried -- it's almost unspoken. The 1966 Game: Who's Lieberman Then? You may remember our 1966 Game, where I tried to identify similarities between people from the cusp of the last generational crisis and today. The 1966 election was a watershed much as this year's election will be. In that election Republicans gained 47 House seats. They also gained three Senate seats. Despite this success, they remained an impotent minority in the next Congress -- the Johnson landslide had been that big. In conventional terms there seems little with which to compare this Lieberman-hate. The wildest point made in its defense (so far) is a piece at MyDD comparing Lieberman's statements about Iraq to Nixon's about Vietnam. That's interesting because, when Nixon made his statements his view was in the ascendent (as the last 40 years of history have proven), while Lieberman is embracing the falling star of Bush-ism. 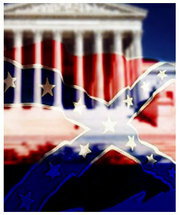 The United States has had, by my reckoning, six generational crises in its history. This is the seventh. 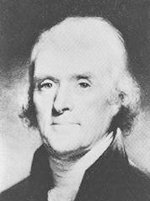 1800, the first truly competitive election, in which the idea of sedition as a crime was rejected and Thomas Jefferson created the early form of the Democratic Party based on the ideal of rural life. 1828, when Andrew Jackson created the modern Democratic Party based on a balance of regional interests and the Myth of the West. 1860, when Abraham Lincoln was elected and the nation exploded into Civil War. The 1890s, the birth of Populism and Progressivism, resulting in the rise to power of Theodore Roosevelt. 1932, when Franklin Roosevelt was chosen to fight the Depression and the idea of affirmative government was born. 1968, when Richard Nixon brought the Thesis of Conflict, anti-communist, and anti-elite, into power.